In order to do justice to a hotel of this quality, one would expect cuisine of the highest order and the Craigmonie Hotel will not disappoint. Our Conservatory Restaurant offers a wide variety of fresh local produce served between 6:00pm and 9:00pm. Our menus include seasonal, modern and traditional dishes with european influences as well as a strong Scottish flavour. We pride ourselves in sourcing and using the freshest local produce cooked to perfection by our highly experienced and passionate team of chefs, all served in relaxed and informal surroudings by friendly and helpful staff. Come and enjoy a delicious 2 or 3 course lunch served in our Conservatory Restaurant between 12.00pm and 2.00pm. An individually priced menu is available for children under 12 years of age. For the business person who may be a little tight for time, we would be more than happy to fax or e-mail a menu to you in the morning so you can pre-order therefore minimising the waiting time for your lunch. We appreciate you may have only 45 minutes to enjoy lunch. We offer a selection of private dining rooms, namely the Drummond, Culduthel and Leys Suites catering from smaller special occasions to company retirements and corporate dinners. Please contact the hotel for further information and to receive a selection of our menus and wine list. Other changes at the Craigmonie include a new and exciting wine list incorporating wines from around the world. 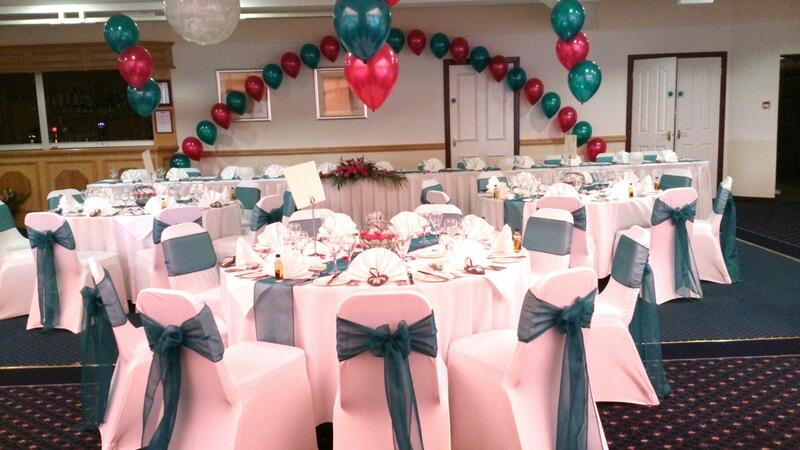 Our Culduthel Suite is a stunning room for any occassion. The Suite boasts its own large dance floor, private bar, seperate toilets and natural daylight. Its difficult to imagine a better venue in Inverness. For the more intimate dining experience, the Leys Suite can hold up to maximum 22 people for a sit down meal. The Drummond Suite was once used as the hotels main restaurant and can hold up to 40 for private dining. The room also benefits from natural lighting. Telephone the events team on 01463 231649 to enquire about availability.